Annie has an intuitive connection to the sea and all the wondrous creatures who live there. Annie the Mermaid is underwater safe. Features all-weather paint. Designed by Mary Engelbreit for her Merriment Collection. Annie has an intuitive connection to the sea and all the wondrous creatures who live there. 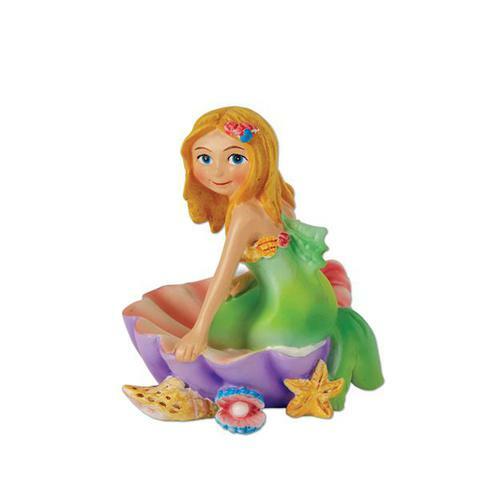 Annie the Mermaid�is underwater safe.�Features all-weather paint.�Designed by Mary Engelbreit for her Merriment Collection. Made from: resin, metal wings.